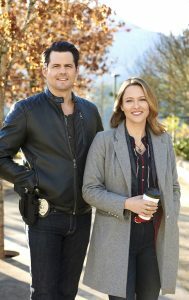 Tonight, Hallmark Movies & Mysteries picks up a power pairing from Hallmark Channel as it reunites Pearl of Paradise‘s Jill Wagner and Kris Polaha in another potential new mystery wheel franchise, Mystery 101. English professor Amy (Wagner) is an expert in crime fiction and sizing people up. When she meets detective Travis (Polaha), who’s on campus investigating the the theft of genetically engineered plant worth millions from the university’s Life Science Lab, she uses her deductive reasoning to profile him. Though Travis can’t discuss his investigation, he and Amy banter playfully while she waits for her student, Lacey (Louriza Tronco), who doesn’t show. Fearing Lacey is in trouble when her boyfriend turns up dead, and connecting a colleague’s “suicide” with the plant theft, Amy unravels both mysteries, and risks her life. 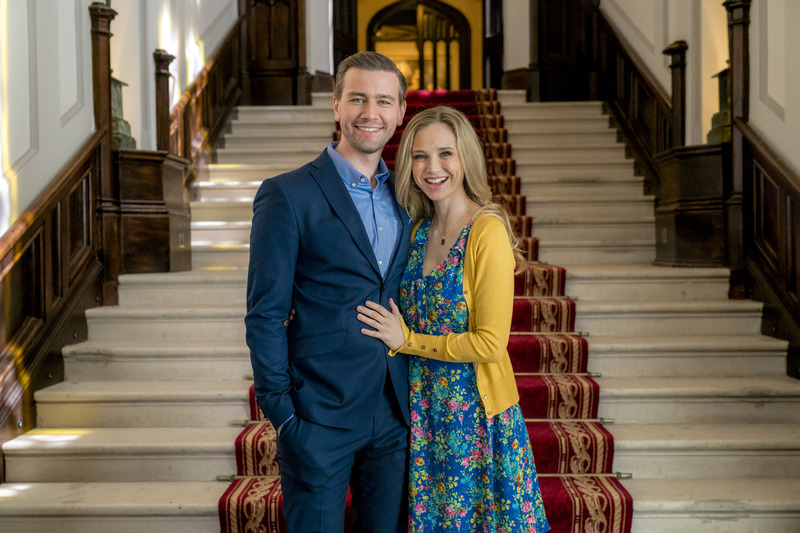 We love seeing these two reteamed, and Wagner told us last summer that she had a ball with Polaha shooting in Fiji, so it’s no surprise they found another project so quickly. The rest of the cast includes: Robin Thomas, Aliyah O’Brien, Preston Vanderslice, Sarah Dugdale, and Kareem Malcolm. Blair Hayes directs a script by Robin Bernheim & Lee Goldberg and John Christian Plummer. 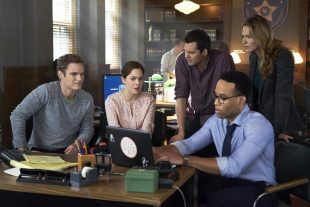 Mystery 101 premieres tonight at 9/8c on Hallmark Movies & Mysteries. Here are a couple of sneak peeks. Photos Courtesy of Kailey Schwerman/Crown Media United States LLC.